UNION CITY, N.J. – Situated less than 4 miles from Manhattan lies one of Hudson County’s hidden residential treasures. Union City, a 1.27 square-mile municipality with commanding views of New York City, is best defined by diversity exemplified in its bustling downtown business center. Various ethnic family-owned storefronts mix with newer and modern restaurants, bars and art galleries along upper Bergenline and Summit Avenues to create an upscale living environment that fulfills countless tastes and personal preferences. Some of the state’s finest eateries call Union City their home, offering delights for any palate. Cuban dining can be found at El Atresano, El Unico and Mi Bandera, Beyti Kabab offers Turkish fare, while Italian dishes are served at the De Palma Pizzeria at Masina Trattoria Italiana. Just to the west of Bergenline Avenue, additional brand name retail outlets, such as Walgreens, and everyday services can also been found along Kennedy Boulevard. To the east of Union City along River Road, like national retailers including Trader Joe’s, Whole Foods, Marshalls and more, as well as five-star waterfront restaurants such as the Chart House. Cultural opportunities also abound in Union City. The Union City Art Gallery at City Hall often displays works of the thriving local artist community, and the Yardley Building — a historic warehouse on Palisades Avenue — is home to artists and galleries. The Park Performing Arts Center on 32nd Street offers visual and performance arts. Throughout the year, the City also hosts a variety of arts, music and film festivals such as NoHu International Short Film Festival held last October. While there’s much to do and see in Union City, the entertainment and business centers of Manhattan are also minutes away. Route 495 leading to the Lincoln Tunnel bisects the City. Public transportation is also readily available via New Jersey Transit buses with direct service into New York’s Port Authority Terminal. With Union City undergoing revitalization similar to neighboring Jersey City and Hoboken, it’s no surprise its housing stock has adapted to the changing residential landscape. 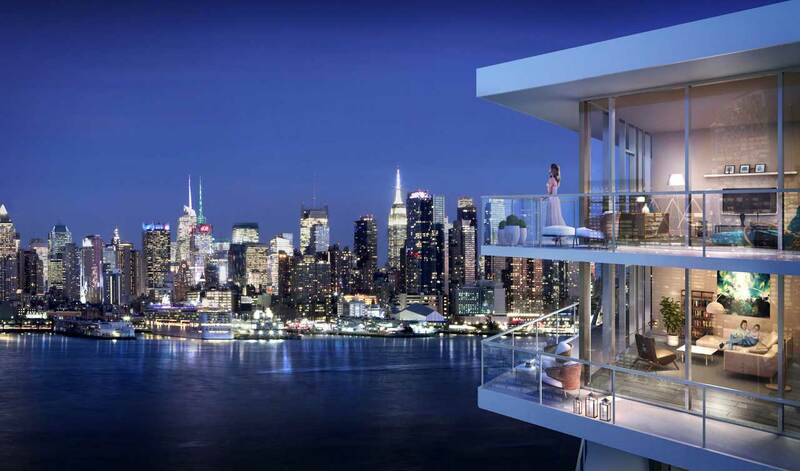 A decade ago consisting predominantly of brownstones and two-family homes, the Union City skyline has been joined by upscale multi-family buildings that provide the amenities and services of chic Hudson County waterfront addresses at prices much more reflective of the market. 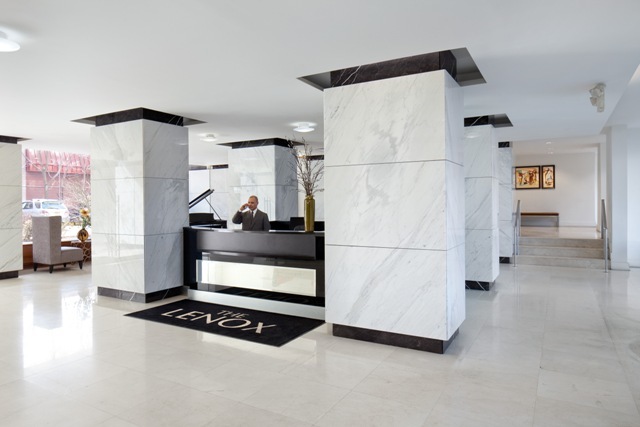 “Word is spreading about Union City as a destination,” says Kelly Marzullo, Director of Marketing for The Lenox, a 16-story high-rise condominium building being developed by Sun Equity Partners at 500 Central Avenue. Loren Kleinman is one such homebuyer. She had been renting in Montclair, N.J., but wanted to be closer to all that New York City had to offer. Ms. Kleinman’s initial search took her to condominium buildings in Jersey City and Hoboken. “We found both Cities to be too expensive,” Ms. Kleinman recalls. That’s when Mrs. Kleinman’s realtor suggested The Lenox. “We bought a home on the 17th floor and the views are amazing, she says. The pricing provided great value which is enhanced by the fact that heat, hot water and gas, along with all of the amenities and building security, are included in the maintenance fees. The City’s 5 year tax abatement helped keep the cost moderate and played an additional role. 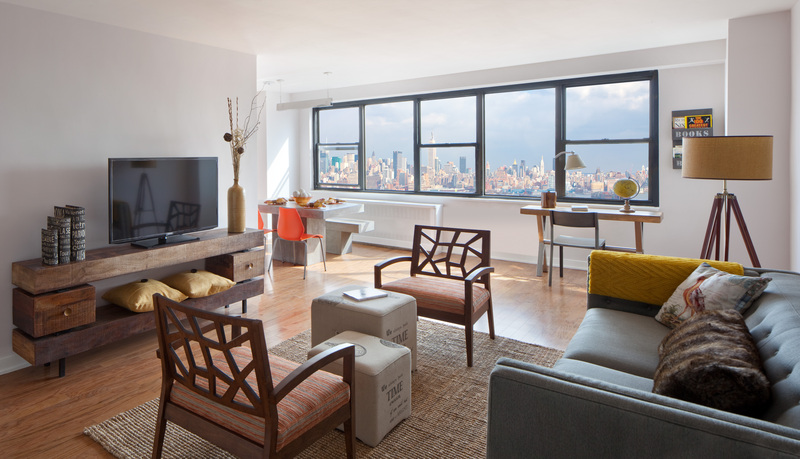 “Of course, the proximity to Manhattan is ideal. The complimentary on-site shuttle to the Hoboken PATH Station is perfect”. Sun Equity Partners has released newly renovated condominiums and an exciting suite of five-star recreational and social amenities at the building in the early summer. More than 50% of the homes at the Lenox are now sold as buyers have responded enthusiastically to this unique chance to enjoy modern and luxurious living at value-packed pricing. Available for immediate occupancy, the newly-released studios, one and two-bedroom residences at The Lenox feature spacious floor plans with contemporary finishes and appointments at attractive prices starting from just $179,000. The building is also approved for favorable financing programs offered by the Federal Housing Authority (FHA) that require only a 3.5% down payment. A variety of floor plans are available at The Lenox which range in size from 535 to 1,089 square feet of living space. Finishes found throughout the homes include hardwood floors, kitchens with stainless steel GE appliances, custom white gloss kitchen cabinetry, quartz countertops with marble backsplashes and spa-like bathrooms with imported wall and floor and Moen shower fixtures.